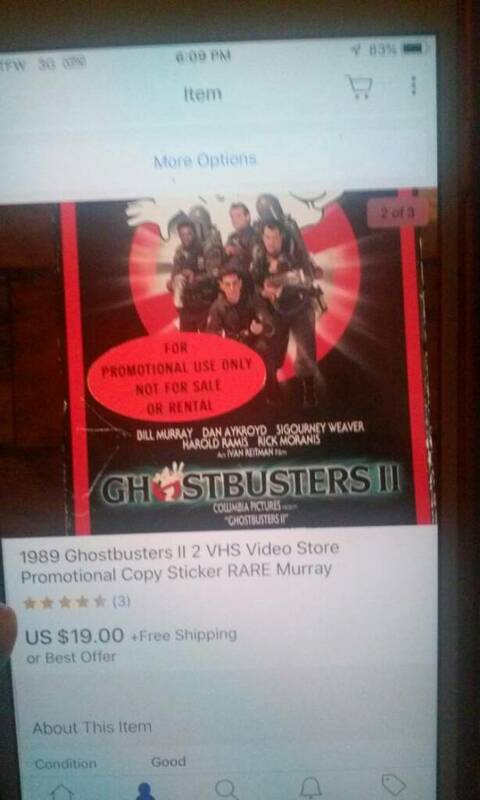 Hello fellow Ghostheads, I have found and purchased this promo copy of GB2 off of ebay, and I was wondering if any of you could help me distinguish which commercial video store this tape could of came from. 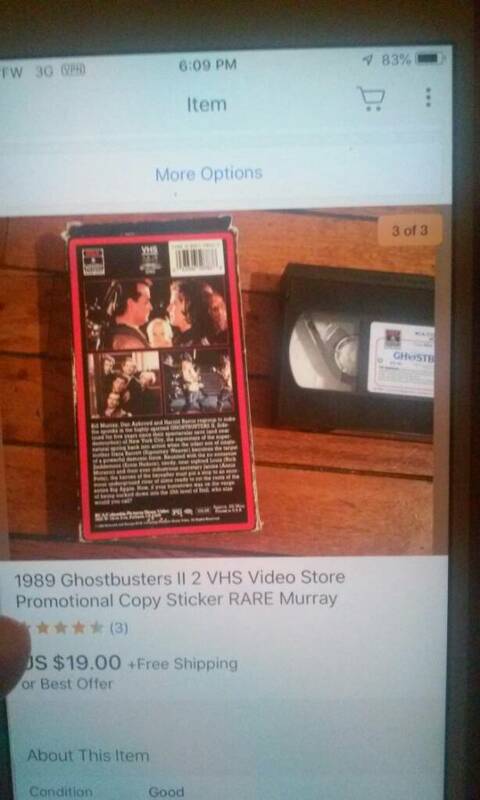 The tape says "FOR PROMOTIONAL USE ONLY NOT FOR SALE OR RENTAL" Thanks. 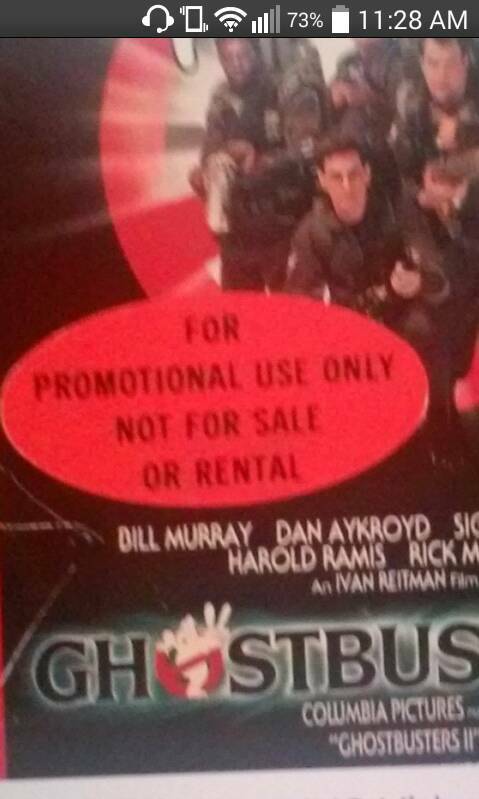 It looks to be a screener copy so it could have gone to just about any video store/rental shop of the time. That would be hard to figure out. Any markings on the cassette itself? I'd have to agree it's not likely tied to any specific store & is a screener. 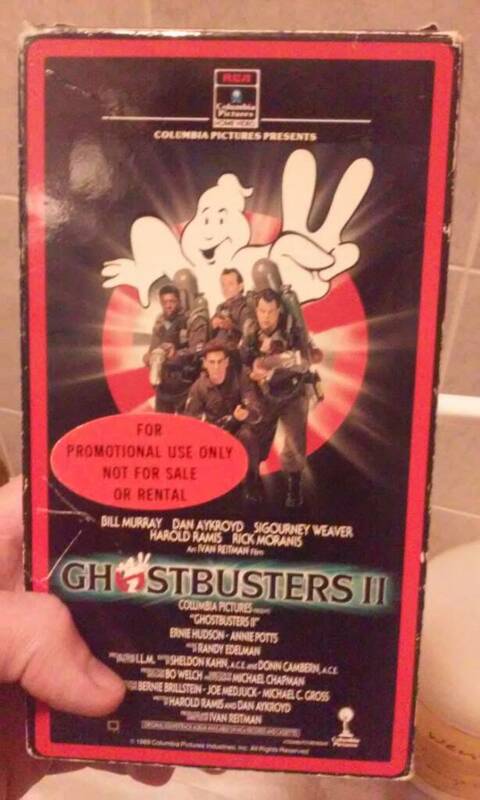 The Promo Sticker is only on the VHS Box, the tape itself just appears to be a standard first edition printing of GB2. I may sound dumb for asking this but what exactly is a "Screener"? 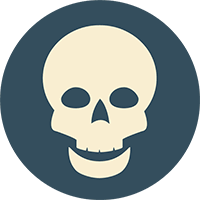 Here is a better close up of the sticker. 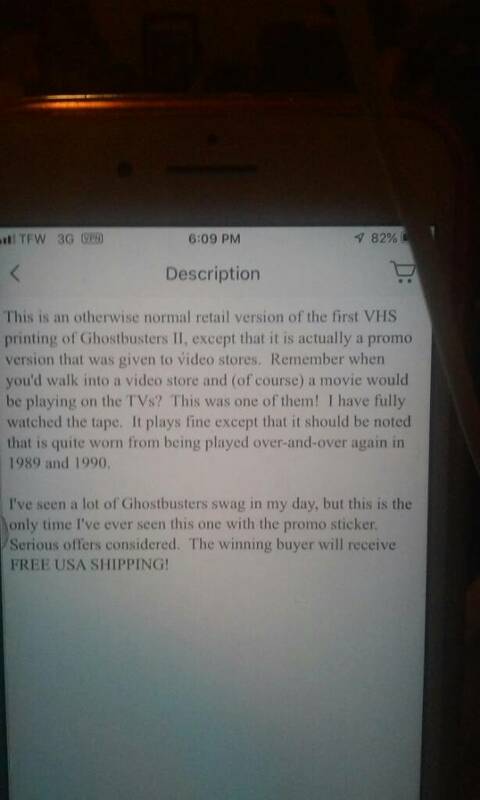 A screener was a copy of a film sent to video shops/rental places so the owners, or film buyers for the place, could watch the movie and see if they want want to stock the movie on their shelves. I tired watching the tape, but as the owner said, it is a really beat down tape, the picture quality is fuzzy, and it is filled with white noise, and the top of the screen has that grayish interference, that heavily used tapes have. (About 15 minutes in, I decided to just completely rewind the tape, and put it back in its box.) (It is borderline unwatchable.) (but from what I saw the contents of the tape are the same, as the original first printing of GB II.) (I am not gonna watch the tape, because of the possibility that my VCR might eat the tape.) 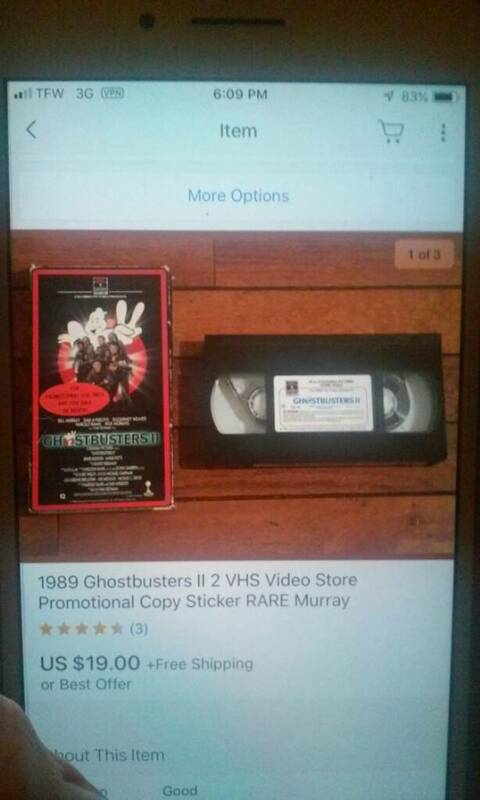 (Anyways here is some more pictures from the Ebay listing I bought the tape from.) Have a nice day everyone.